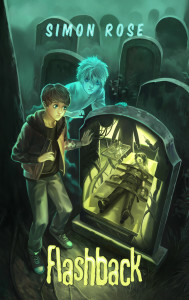 Max experiences flashbacks of a life that isn’t his, from a time before he was born. Some of the memories are pleasant, some are . . . disturbing. 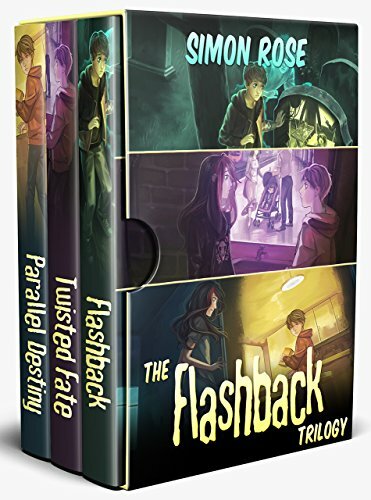 The complete Flashback Trilogy, a paranormal adventure series with time-travel and mad science. 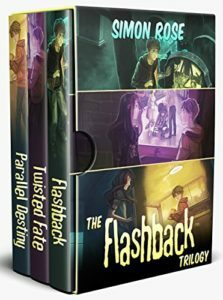 Book 1: Flashback – Max sees a boy that no-one else can. He reveals to Max twenty-year-old secrets, secrets that someone will go to deadly lengths to keep concealed. To right a tragic wrong, Max must leap into his new friend’s past, not knowing how his actions will affect his own reality. 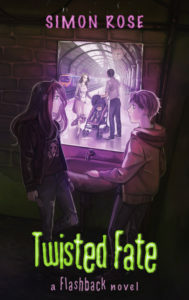 Book 2: Twisted Fate – When Max learns that Project Mindstorm has been revived, he and Julia embark on a seemingly impossible mission across multiple, shifting timelines. 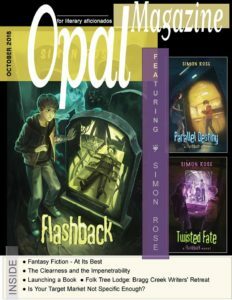 On the run and pursued at every turn by the powerful and ruthless Kane, Max and Julia engage in a desperate race against time to transform their own destinies. 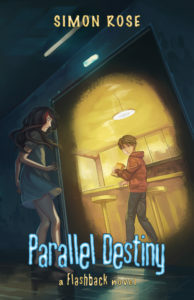 Book 3: Parallel Destiny – The borders between realities are thinning, and Alastair Hammond’s experiments into the existence of parallel universes are dangerous and destructive. Marooned within a bewildering series of alternate timelines, Max and Julia are forced to save the very fabric of reality from Hammond’s deadly scheme.